Be More Lead More — Leadership Development Coaching Programs — Lou Radja — Speaker. Author. Coach. 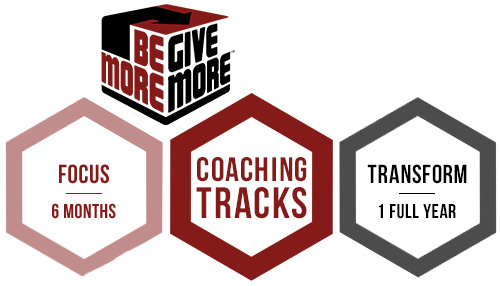 The Be More Lead More Coaching Program is a unique and comprehensive leadership development system that integrates leading self (Be More) and leading others (Lead More) to drive higher performance and achieve breakthrough results. The Be More Lead More™ Coaching Program was developed over a decade of coaching business executives, high achievers, and entrepreneurs. This system will foster the growth you need in order to achieve your highest goals. Lou has limited coaching slots available, so get in touch today! You can save 10% with a 50% deposit, or 15% if paid in full. Thank you for your interest! We'll be in touch within 24 hours to schedule your initial consultation meeting.